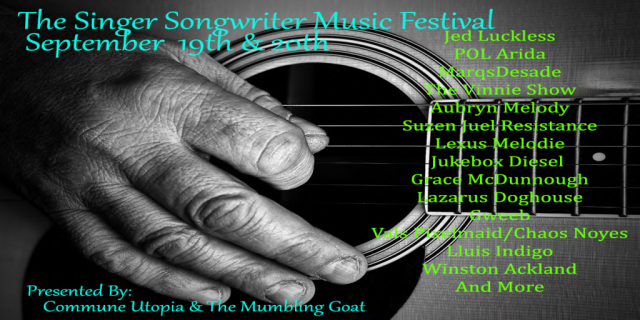 Wednesday, September 19th and Thursday, September 20th, 2018, Commune Utopia and The Mumbling Goat, will host The Singer and the Songwriter Music Festival. Featuring musician/songwriters from across Second Life presenting a mix of live music throughout the two days, the event kicks-off take at The Mumbling Goat, starting at 15:00 SLT on September 19th. It will then continue through Thursday, September 20th at both Commune Utopia and The Mumbling Goat. To find out more and to keep abreast of the event, be sure to check Through Owl’s Eyes, the blog of Owl Dragonash. With thanks to Owl for the heads-up. My little yellow, dungareed minions are everywhere 🙂 . However, never feel shy of sending me info 🙂 . Reblogged this on Commune Utopia.